The goal of MUSIC SHARING’s ICEP (International Community Engagement Program) is to help interconnect far-flung communities with the wider world through music. 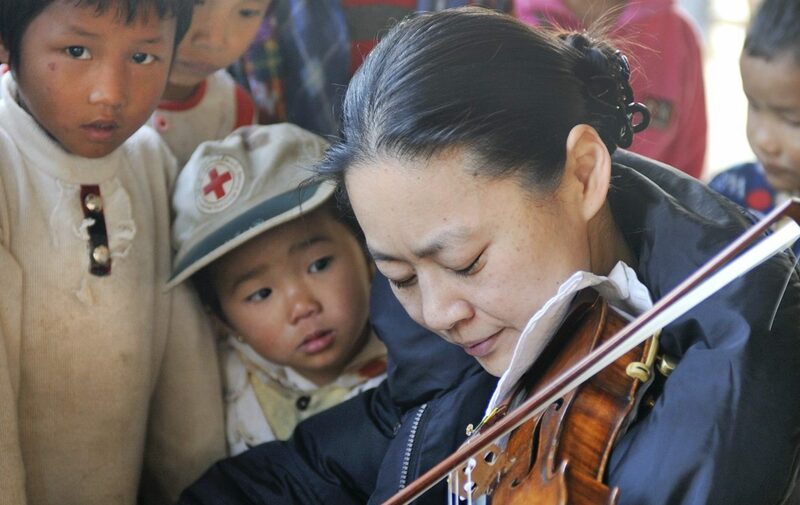 The International Community Engagement Program provides people of different backgrounds and circumstances the opportunity to personally experience the excitement, beauty and joy of music. The activities of ICEP are based on a fundamental belief that music nurtures, nourishes, heals, and inspires the mind. The organization promotes international cultural exchanges, while encouraging audiences and musicians to connect with each other through the arts. Additionally, the program helps participating musicians broaden their awareness and understanding of the many varieties and positive aspects of community engagement. The ICEP sponsors annual programs. Following a competitive audition process, the violinist Midori forms and joins a string quartet of young musicians to present a winter schedule of performances and related events in rural and otherwise underserved areas in Asia, and an early summer season in Japan. The players bring music — and inspiration — into schools, hospitals, orphanages, and other socially-responsive institutions. Since the initial tour traversed Vietnam in 2006, these programs have served a variety of countries besides Japan, including India, Cambodia, Indonesia, Mongolia, Laos, Bangladesh, Myanmar, and Nepal.